Now you in the game with this mod will be many colorful birds. 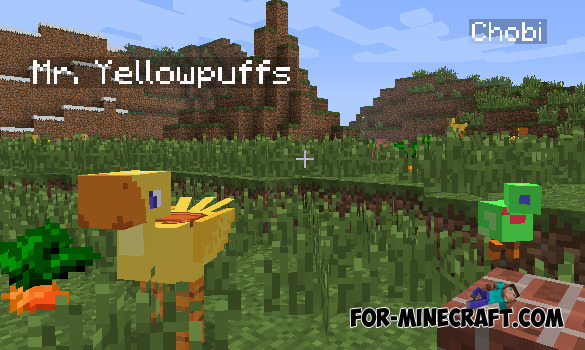 To spawn in the game these birds you will have to use a special command for a chat - chocobo. All birds are to you initially friendly and allow you to play with them. You should not hit these birds, because as soon as any of these birds you hit, it becomes a very evil and you will begin to hunt.